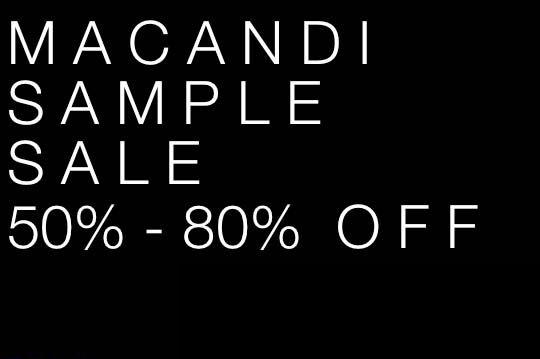 Macandi Showrooms is hosting a sample sale to clear out the samples from some of their clients at 50% – 80% discount. 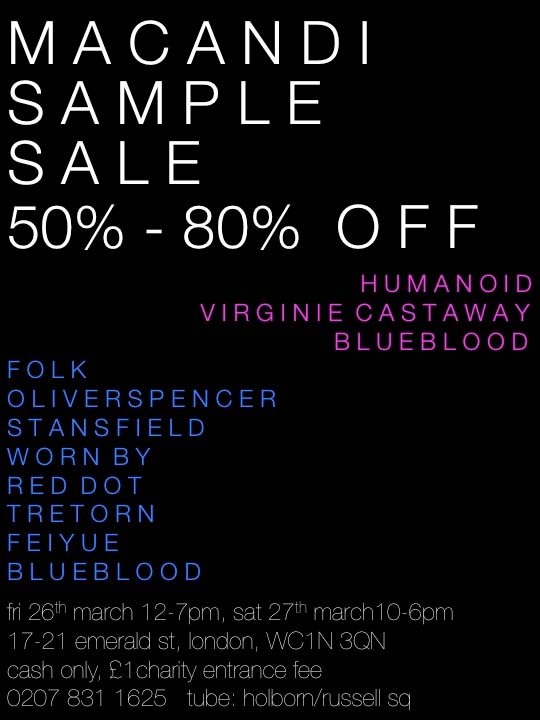 This is a great opportunity to cop some seriously nice garms from the likes of Folk, Oliver Spencer, Stansfield and maybe some kicks from Tretorn. The event is taking place tomorrow (Friday 26th) and is a more than reasonable £1 charity donation for entry. Location info on flyer below.